If you're interested in downloading audiobooks, it might initially seem like Audible is the only option. The service ranks at the top of most search result lists, and many podcasts even advertise it during their commercial breaks. And, statistics indicate Audible is thriving in the audiobook market. 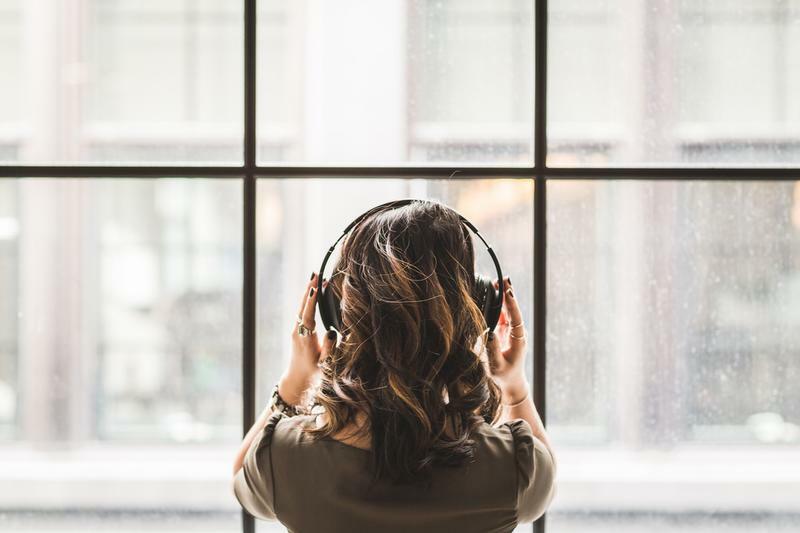 The Amazon-owned company reportedly accounts for about 41 percent of the audiobooks sold and does not disclose its subscriber numbers, but mentions double-digit annual growth in that regard. However, Audible has a business model many people find frustrating. Although it's not required, the cheapest way to get the books is to pay a monthly subscription fee after your 30-day trial. The lowest subscriber tier, priced at $14.99 per month, comes with one credit redeemable for any audiobook in the collection. But, once you use your credit, you have to pay full price for any other audiobooks — many of which are more than $25 each. Let's look at some other places to buy audiobooks so you can have more choices when consuming literature by hearing it. The subscription fee at this site is only $4.99 per month after your 30-day trial. Also, being a member gives you half off your first audiobook every month and a 35 to 40 percent discount after that. The authors in the library range from Stephen King to James Patterson, and you can stream the titles on your mobile device or through a computer browser. Being a member at Downpour is only a few dollars less than subscribing to Audible. Plus, a small number — less than 3 percent, according to the company — of books in the collection require more than one credit. However, one major perk of Downpour is that it offers audiobook rentals. Rentals are up to 70 percent less than the retail price of audiobooks. Plus, you get from 30 to 60 days to finish them. Renting could be a smart alternative if you're eager to read a title, but don't necessarily want or need to own it. One interesting thing about Scribd compared to the other services covered so far is that it allows you to access audiobooks, plus e-books and magazines, for an $8.99 monthly subscription rate. Plus, the company recently brought back its unlimited plan, which allows consuming as much as you want to for the price. However, in heavy-usage cases, you may get throttled and experience delays between downloads. It's also worth pointing out that you can stream a title as well as download it. That could be helpful if you're not immediately sure you want to download the title. This company is a multiple Grammy Award winner for its audio productions, so you can rest assured of high-quality content. Moreover, the company handily provides some Soundcloud excerpts, allowing you to hear samples of some titles before purchasing. Furthermore, you can download audiobooks directly from the site without subscribing to anything. That's convenient if you prefer content without commitment. This company provides some titles in an audiobook CD format too, which could be helpful if your device doesn't have much space to accommodate a long title. If an audiobook you want is in the public domain, it may be available for free on LibriVox. It's a site where people around the world volunteer to read audiobooks anyone can download. That system means the content may vary in quality, but if cost is a concern, LibriVox is worth exploring. It also has numerous titles in languages other than English. Did you know you can buy audiobooks directly from the iTunes store? That means you don't even have to download anything separately if you use iTunes already or own an Apple device. Once you launch the iTunes store, use the drop-down list at the top to select audiobooks. Then, you can browse for your title. The selection even includes books that are $14.99 or less, which is appealing if you're on a budget. Apple does not require subscribing to anything to get your audiobooks, but you do need an iTunes account. Since your titles get stored in the cloud, you can access them across multiple authorized devices, too. Maybe you're already an Audible subscriber and want something that lets you read more titles without having to pay so much. Or, perhaps you know Audible doesn't fit your budget, but you're still interested in enjoying audiobooks. In any case, this list gives you a fabulous starting point for discovering some of the many other possibilities.